I’m a little obsessed with facemasks, I’ve got to say. I used them very regularly and I know exactly what I like, and what works on my oily, blemish prone skin. Recently my skin has been struggling with the acne medication I use and the hot weather, so it’s became quite dry in areas. I’ve been wanting to try a sheet mask for a while, so when I got the Keeome Hydration Therapy Mask, I was quite excited to try it out. 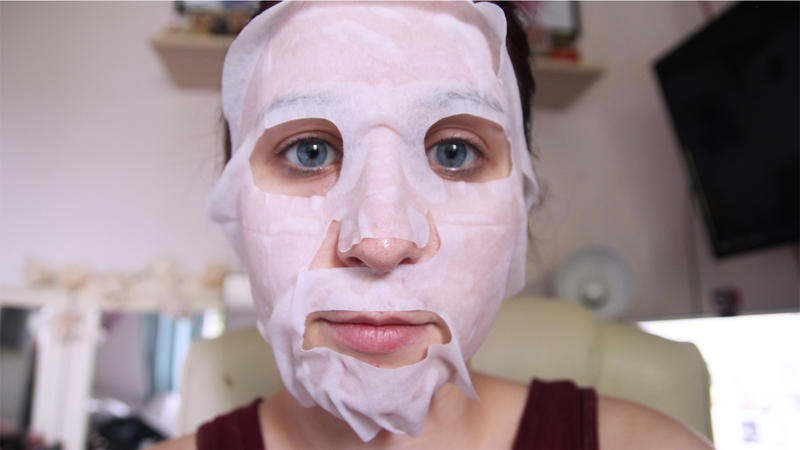 I see photos of people using sheet masks all over social media now, so they must be good, right? These masks retail at £35.00 for a pack of 6, which means they’re around £5 - £6 each. My ‘go to’ Jeunesse Montagne masks are £1 each, so that’s quite a difference already. Although I don’t think £5 is terrible if the mask itself does a great job. I was quite taken aback when I opened the packet. I expected it to be a little wet, being a hydration mask. But this thing was absolutely soaking. It dripped all over my hands, arms, legs (I was sitting), and all over my desk and carpet. It was very messy. Which was more an inconvenience than anything else, because I suppose, it was supposed to be hydrating? The mask was quite big for my very small head – seriously, I’m 5’1, I have a pea head compared to most people. So I wasn’t too surprised it didn’t fit well. I had to fold it over around the edges of my hairline, and found it hung off my chin a lot. You’re supposed to keep the mask on for 25 minutes to feel the full benefit, and they also recommend using these 2-4 times per month. I have to admit, I found it hard to keep it on for 25 minutes. I really didn’t enjoy the feel of this mask on my face. To me it just felt greasy. 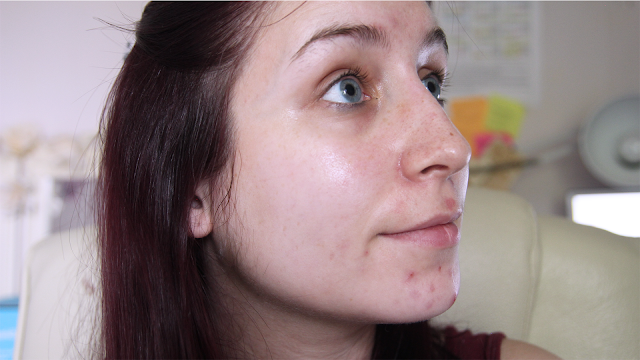 Maybe that’s just because I usually have fairly oily skin anyway. I found it kept slipping down, and I was constantly having to adjust it, rather than being able to just leave it and get on with what I usually do when I use a mask. That could be because my head was a little too small for it, or because it was so wet. I couldn’t tell. When I took the mask off, I rinsed my face with warm water as it says to do. I found it still left a strange residue on my face even after a couple rinses. My skin did feel very soft and supple though, I have to say. It just felt like it still had a weird layer across it. It seemed to make my blemishes a little angry too, those bad boys were very red after using the mask. I think this mask would be great for people who perhaps struggle with dry skin, but for me, it just didn’t feel right? It almost didn’t feel clean. I have to admit for the price, I expected different results. Although it wasn’t a terrible product, I’ve used better. 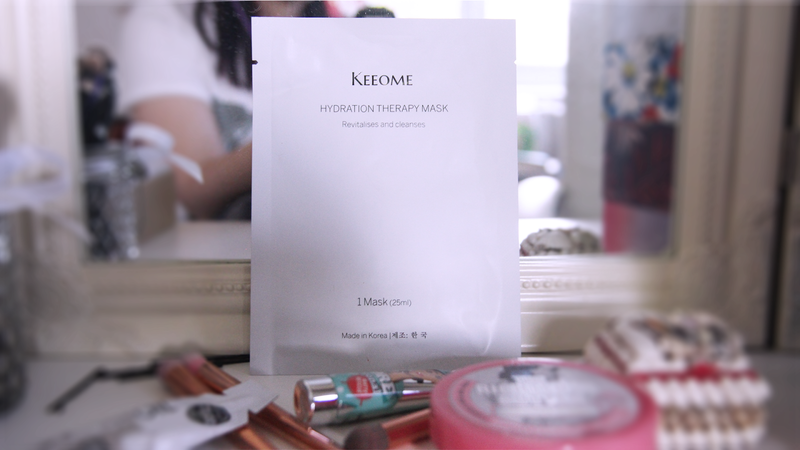 I don’t think I would use sheet masks, or hydration masks again. I’ll stick to what I know works for my skin!